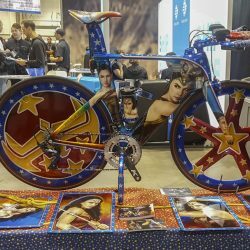 Some bikes can stop a whole show. 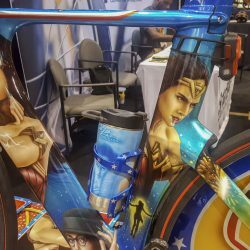 At Interbike 2018, the annual US bicycle trade show, that’s exactly what this one did. 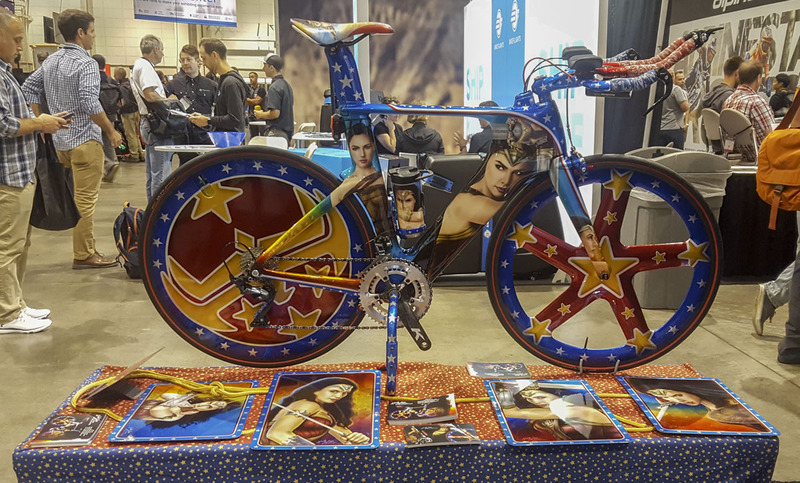 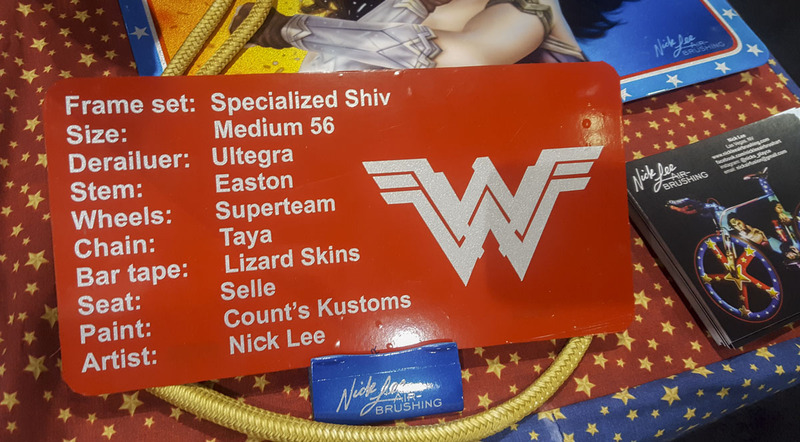 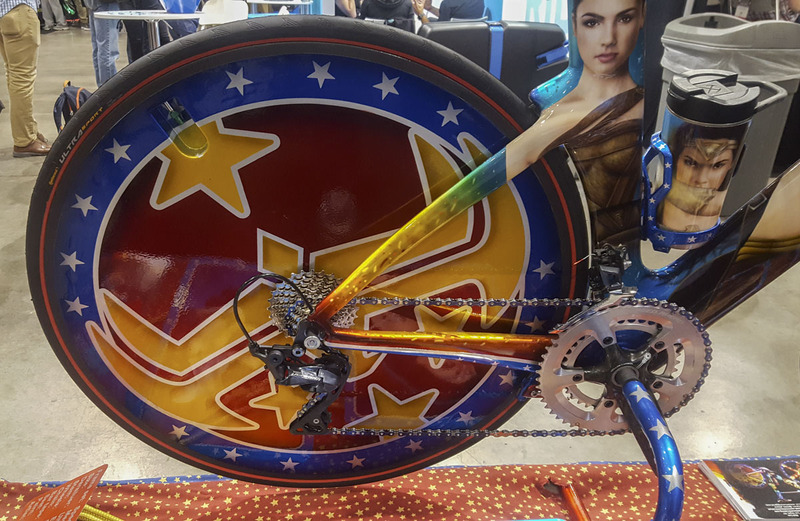 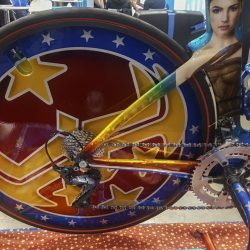 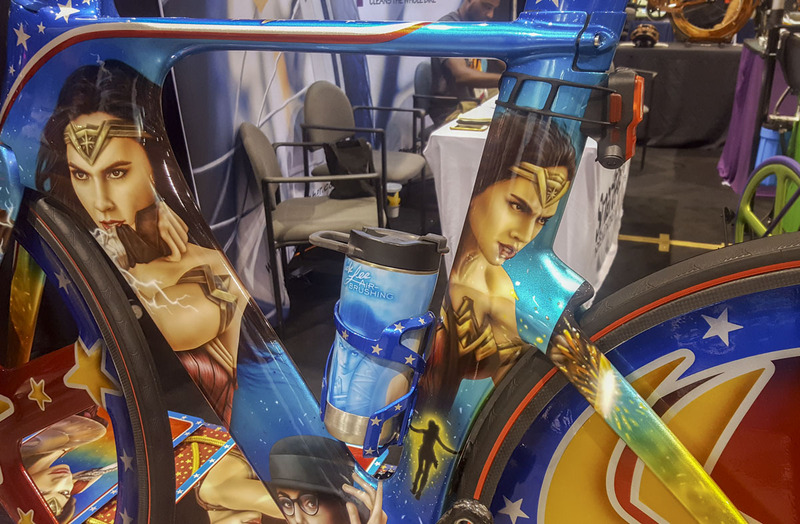 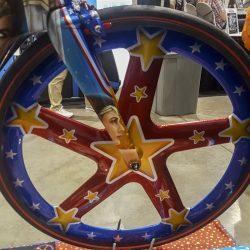 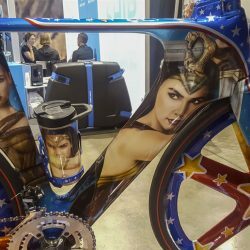 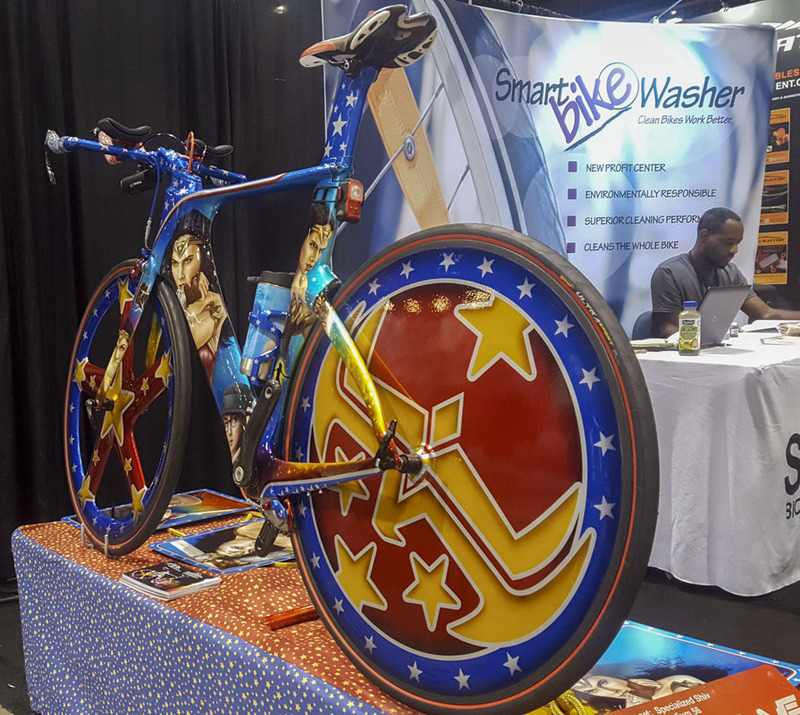 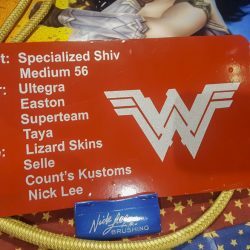 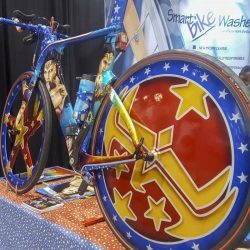 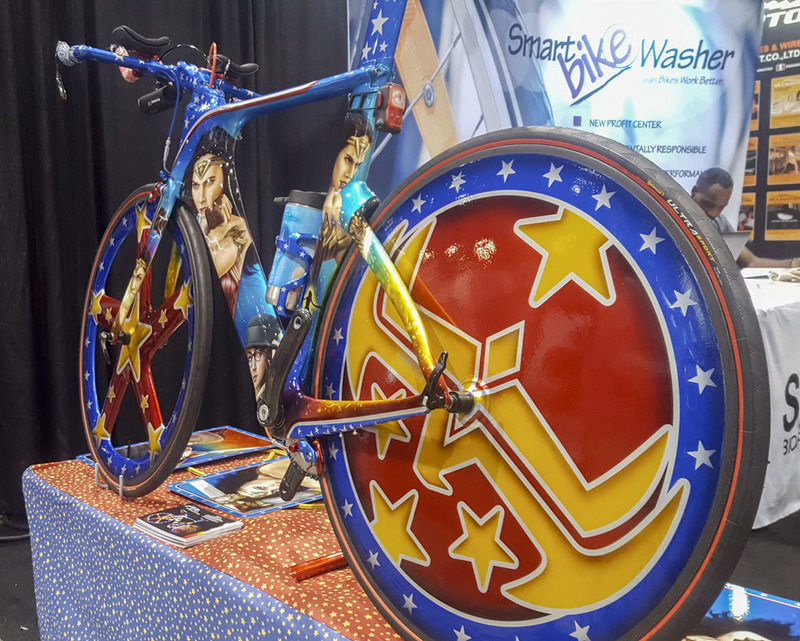 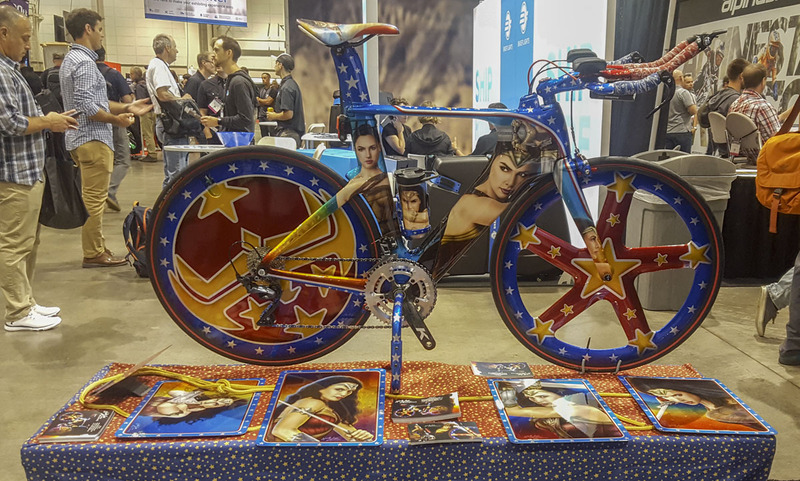 Over and over you’d hear, “Did you see the Wonder Woman bike?”, “Did you…?” No other bike got more attention. 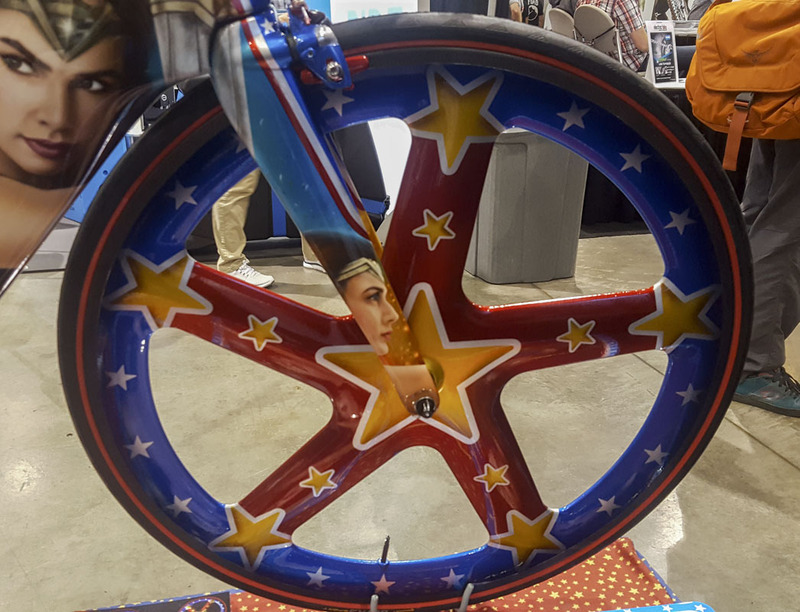 It was an amazing piece of work by Nick Lee Airbrushing. 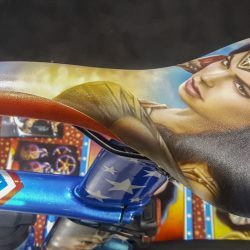 The quality and detail in this paint job is absolutely stellar. A well earned show stopper. 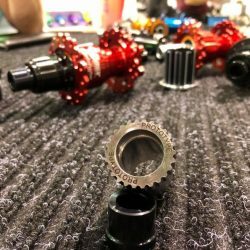 Not much other than seeing the new prototype hubs from Onyx was really worth the trip. 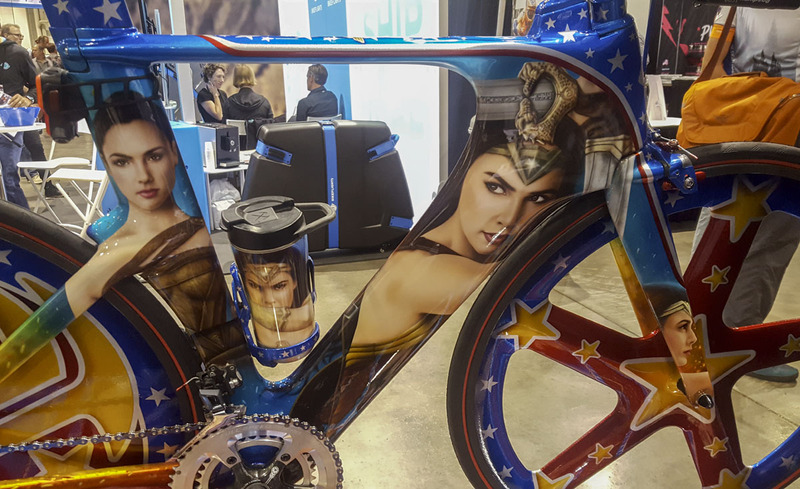 Keep your eye on Onyx. 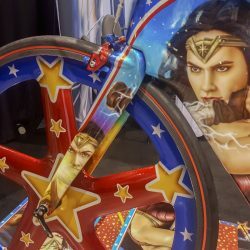 They’ve got some amazing stuff on the way. 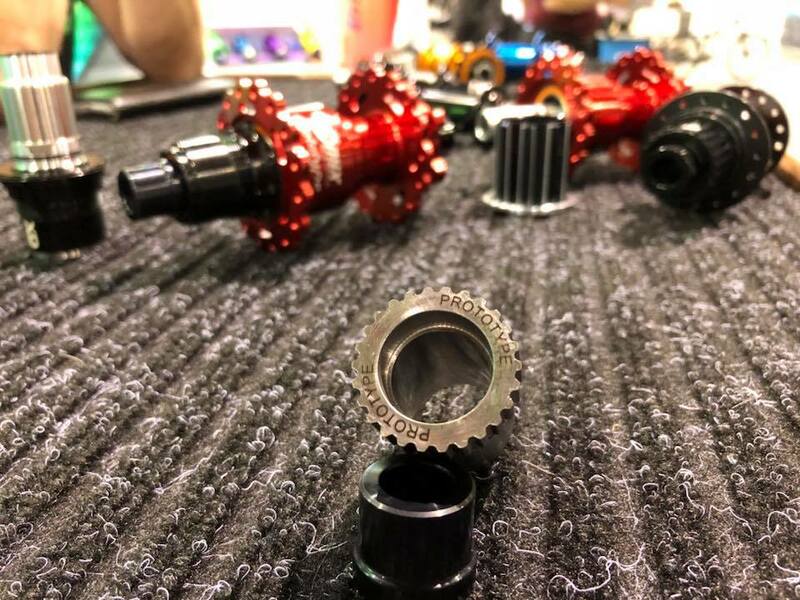 It’s looking like the newest prototypes can receive DT Swiss freehub bodies. 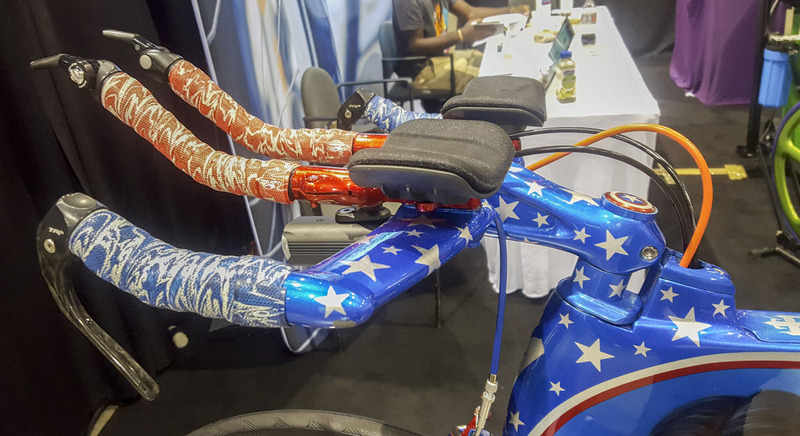 This means that otherwise common parts can be used to setup different drivetrains. 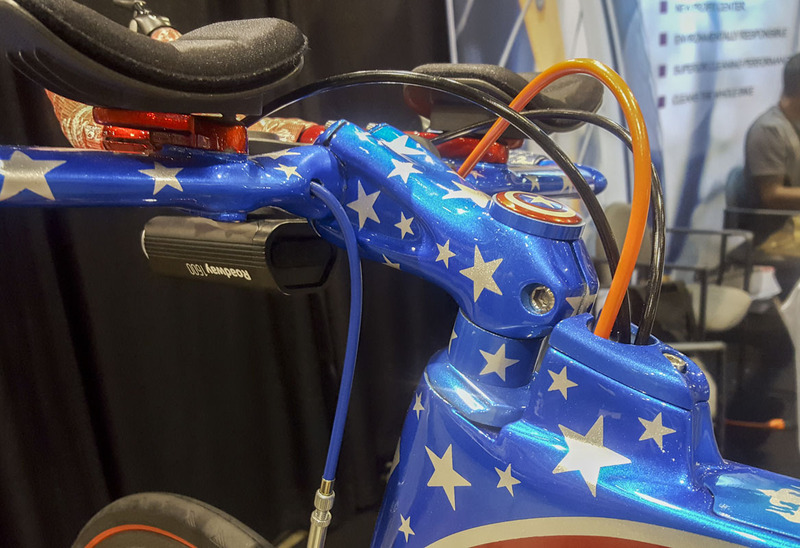 More, it means that licenced XTR 12-speed microspline bodies can fit to the hubs. 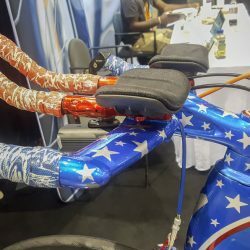 It makes the hub cheaper to own over time and far more flexible. 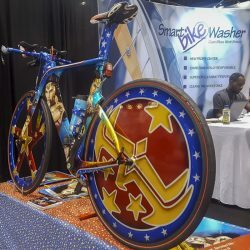 I can’t wait to test the new design! 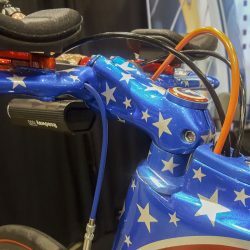 I would have to say that the youth and juvenile bikes at Interbike 2018 were very inspiring. 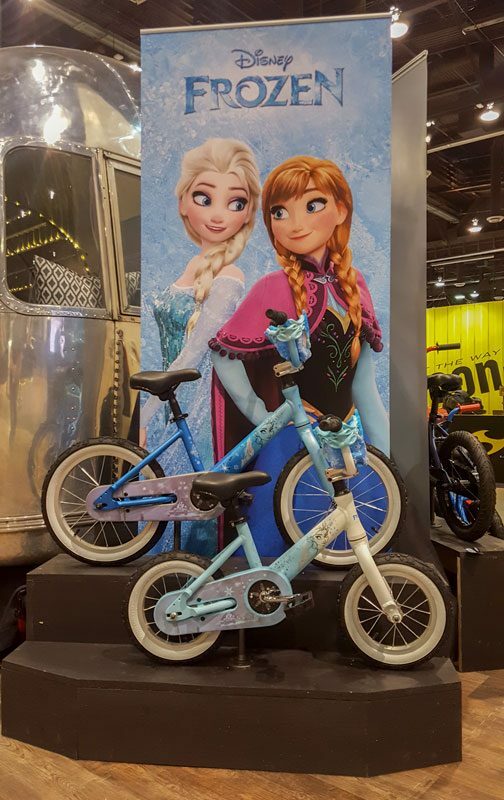 I don’t know who is going to spend the money for some of them but the range and quality of little people bikes is at a pinnacle now. 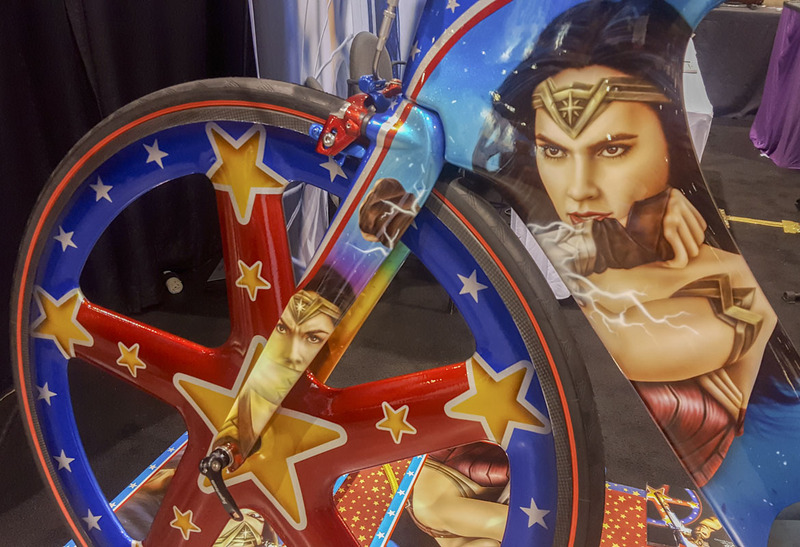 Kids are pretty lucky these days, especially if they have wealthy parents.